A compact, fast drying shirt that you can wear on and off the bike! When traveling by motorcycle, there are two concerns that riders need to consider for just about every item selected, function and space. The Moto-Skiveez® Traveler Shirt addresses both of these concerns. Space – Constructed using an extremely lightweight, yet durable fabric, the Traveler Shirt can be compressed into about the size of a rolled pair of socks. It is widely accepted that the best method for packing clothing is to fold, then roll the item. The Traveler Shirt comes prepackaged into its own stuff bag to better facilitate this method. 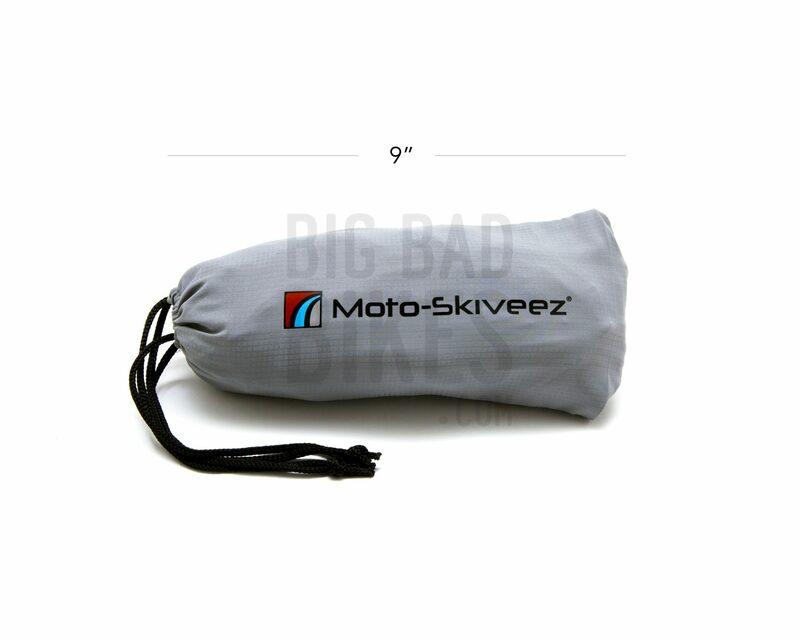 This allows for incredibly easy packing into panniers, duffel bags, etc. Function – Based on a traditional button front shirt design, the Traveler Shirt uses micro-snap closures. Without exception, over time button closure shirts will lose a button. Buttons also tend to snag on protective riding gear. Using micro-snaps eliminates the possibility of snags or losing buttons. Two vertical chest pockets secure personal items. The left pocket has magnetic closure tabs. This allows for easy placement or retrieval of items even with a gloved hand. The automatic magnetic closure means items are secured once the hand is removed. The right pocket is secured using a horizontal zipper with a pull tab. The pull tab can also be used with gloved hands. 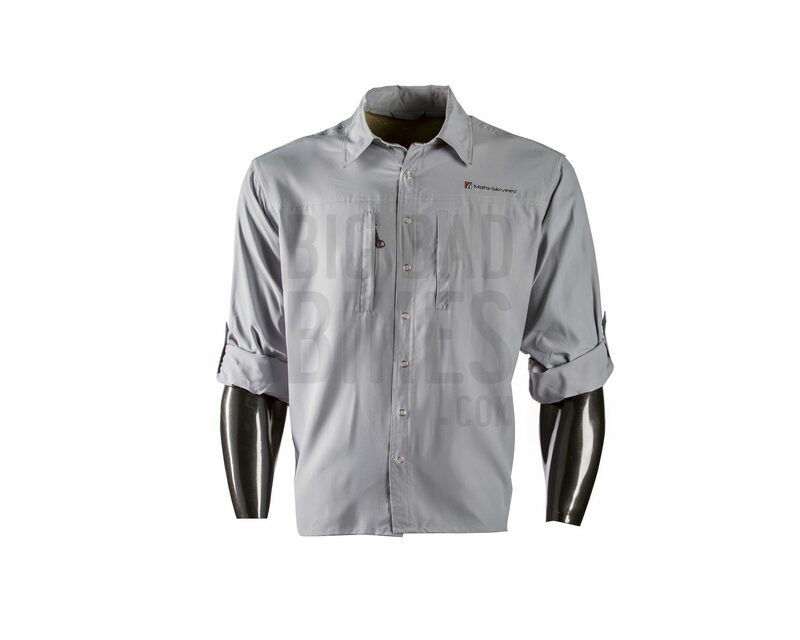 We have incorporated a 2” four-way stretch panel down both sides of the shirt. This allows for increased flexibility of movement and increased overall comfort. 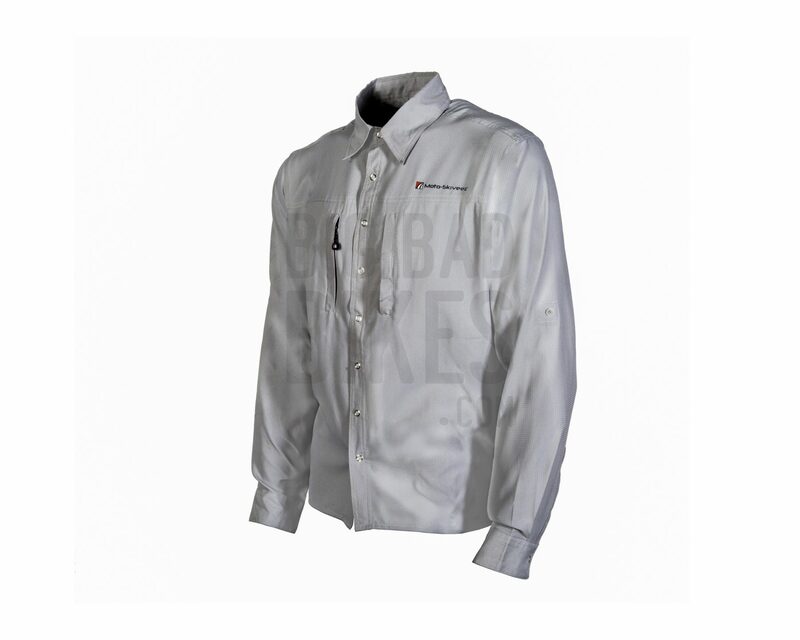 Vented panels on the back of both sleeves increase air movement and also increases overall comfort.